In this paper the problem of minimal representations for sets of functional dependencies for relational databases is analyzed in terms of directed hypergraphs. Various concepts of minimal representations of directed hypergraphs are introduced as extensions to the concepts of transitive reduction and minimum equivalent graph of directed graphs. In particular we consider coverings which are the minimal representations with respect to all parameters which may be adopted to characterize a given hypergraph (number of hyperares, number of adjacency lists required for the representation, length of the overall description, etc.). The relationships among the various minimal coverings are discussed and the computational properties are analyzed. In order to derive such results a graphic representation of hypergraphs is introduced. Applications of these results to functional dependency manipulation are finally presented. This research has been partially supported by MPI Nat. Proj. 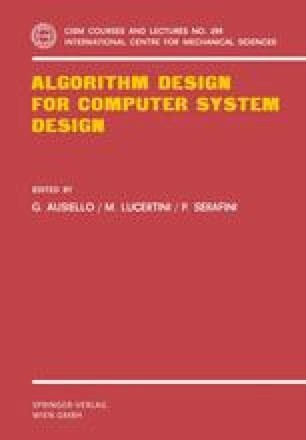 on “Theory of algorithms”.